What's going on at Casiola? 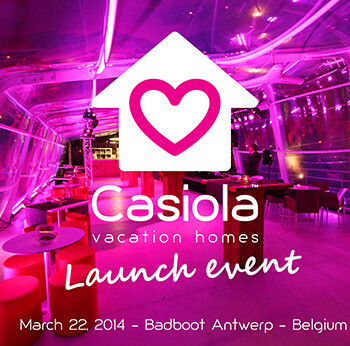 On March 22, 2014 the official Casiola launch event took place at the Badboot in Antwerp, Belgium. A big thanks to all our friends & family for the support and to make the birth of Casiola legendary! We love you all! Post by Casiola vacation homes.